One night I stayed awake till 2 a.m. Inside, there was a cyclone raging up. I wanted to end my heartbeat. I couldn’t. Yet I knew there was little hope left for me in this life. It felt like I wasn't worthy of anything, the life that I have led so far is simply useless. I know there are countless motivational words or power of positive thinking. People tell you to engage in your favorite hobbies or activities. To me, those are just cliché, some new age sayings. How could I concentrate to any of those with my fragmented and turbulent mind? So I try to do following things when hopelessness strikes me. Actually any of these would calm me down, bring me back from the deepest abyss, where I stand alone on my imaginary grave. 1) Embrace the feelings of the hopelessness. Whenever I resist these feelings or force them to go away, it never worked. They wrap me tighter and bring out the worse emotions out of me, like anger, resentment. I keep on sinking deep. Instead, I accept the feelings of hopelessness. I try listening to them. Many times, I sit in one corner of my room and cry. It does calm me down. At the end of the day, I stand up again without much anger, hatred or irritation. 2) It is OK to cry (shed tears). 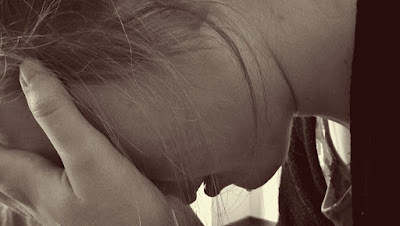 Crying for adults in general is a term associated to vulnerability, weakness (as per norm of Society). As an adult we are barred from this gift of life which has the power to cleanse initial pain. I cry, many times at a corner of my room. And then that wonderful thing happen, the pain melts away to certain extent. 3) Take some deep breathing. Who would know that feeling of hopelessness is so heavy and tight? Many times I breathed abruptly. My internal organs were squeezed so tightly that I would choke to death. Whenever hopelessness triggers, I try to take some deep breathing. It works, perhaps because of more air/oxygen going inside. 4) Meditate. Or, allow to have some quiet time in a quiet place. When the storm of hopelessness wreaks havoc in life, I get solace staying quietly at one corner of my room. I consciously try to do meditation every day. Whenever I do either of these, I calm myself down even from strongest emotional attack. We all have a place which is peaceful, serene. It can be in your house or somewhere outside. Or it can be within you that you know already. Whenever feeling of hopelessness, loneliness try to take your sanity away, go to that place and regain your mental peace. And the best part of 3) and 4), is that, I become less impulsive. 5) Find a precious thing to live for. 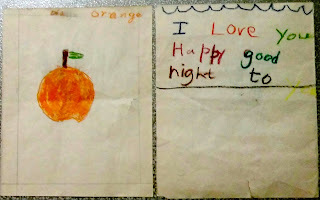 Some weeks ago, my little son gave me these 2 cards that he drew and wrote himself. I kept them glued on a wardrobe in my room. Although we are living away from each other, when I see these cards or he talks to me over phone, I know there is something to carry on with this hopeless life. If you're ever hopeless, try finding at least one precious thing in your life. May be it is love for your partner, parents or child/ren. Or maybe it is something else. Hold it close to your heart. And whenever you are hopeless or loneliest, let that precious thing fill the emptiness within you. 6) Pray for more patience to live one more day. When I feel like everything is lost, there is no hope for me and this suffering will continue, I look at a picture of my maternal grandparents, who died few years ago. I ask the picture (them): "How did you survive all those negligence, verbal torture even from your closest ones?". It seems they tell me the answer: "Have more Patience". I know it sounds cliché, too. So, when I do this, I try to do it for that day. And same for the next day. I don't know if I would ever have patience like my parents or grandparents. May be I'll know my limit. I try to do at least few of the things from above, whenever I feel down or empty. Sometimes it takes me more than a day to find some ground below my feet. And often I remember that little one's voice saying: "Dad, will you stay with me for one more night?". And then I just can't kill myself, because then whom he would tell that to?